All our Graphic Wall Paper jobs are custom built to meet the clients needs. 6274 love creating new and exciting designs that match the unique style of your company. 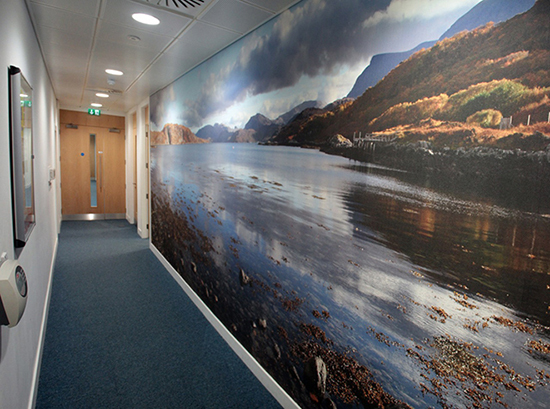 Our wall graphics can be used to extend / promote your brand and company ethos, or to inspire and relax staff and visitors. A particular specialty is our own unique collection of Scottish Landscapes available nowhere else.